Our traditional Black Pine Tar Soap contains only pine tar, lard and castor oils. The soap you hope you never need, but want to have on hand in the medicine cabinet in case you do! 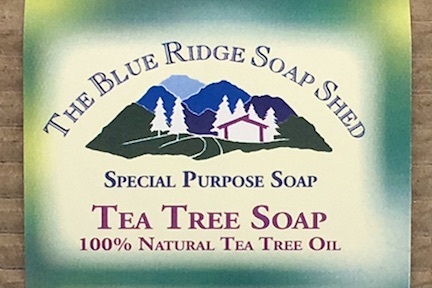 Rosacea Soap was created in response to one of the most frequently asked questions at our shoppe: What do you have that's gentle enough for people with Rosacea? Our Shea Butter Sunburn Soap is superfatted with Aloe Oil for extra moisture, and Lavender essential oil to soothe and cool your sun-scorched skin.